£100 non refundable deposit per week required to secure booking. Balance is due 4 weeks prior to arrival. 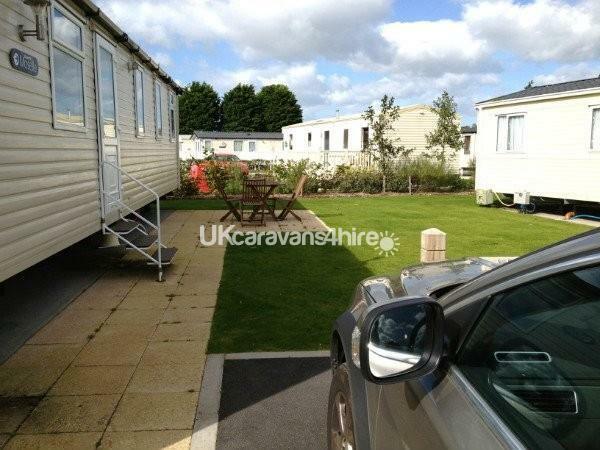 A breakage/cleaning deposit of £100 is payable with the final instalment - this will be refunded up to 2 weeks after holiday providing the caravan is not damaged, and left in a clean condition ready for the next booking. Thanks. 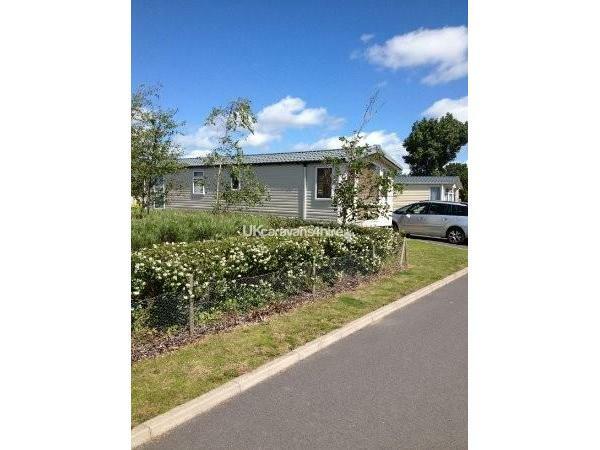 Our caravan is on a delightful plot in an excellent location within Kiln Park, that is just a minute walk from the on-site shop, and a few minutes to all other facilities. 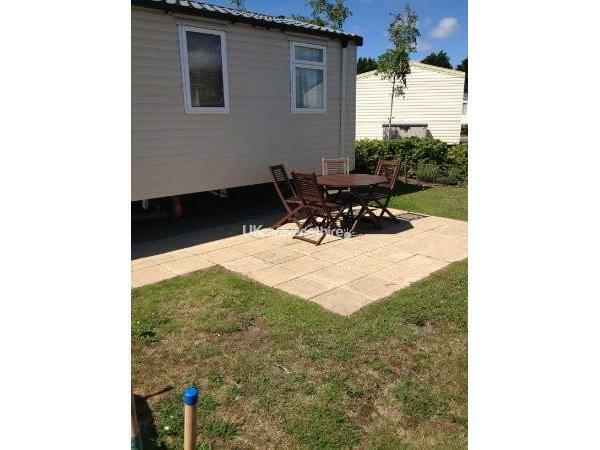 The 3 BEDROOM caravan is very spacious and has the benefit of double glazing and full gas central heating. 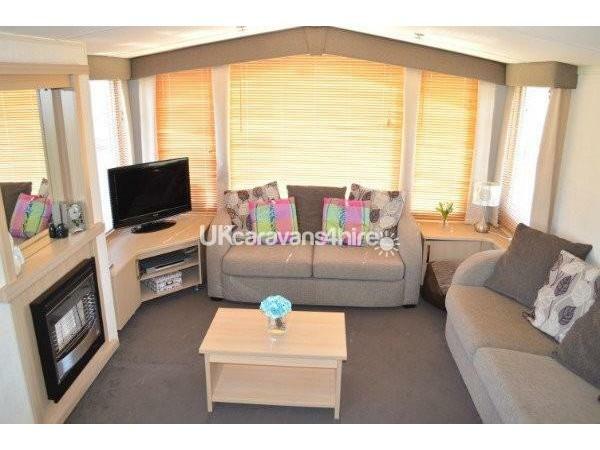 The LOUNGE area has free standing sofas with a gas fire for your added comfort. It has TV with free-view and DVD player. 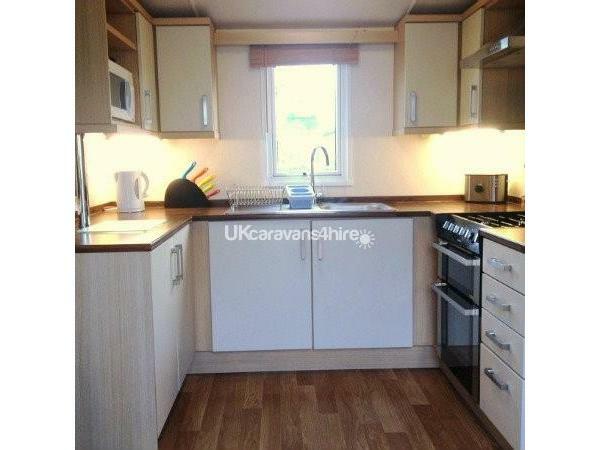 The KITCHEN is modern and fully equipped with gas cooker and extractor, microwave, toaster, kettle and full size fridge and separate freezer. All cookware/crockery and utensils are supplied. There is a separate DINING table with six chairs. 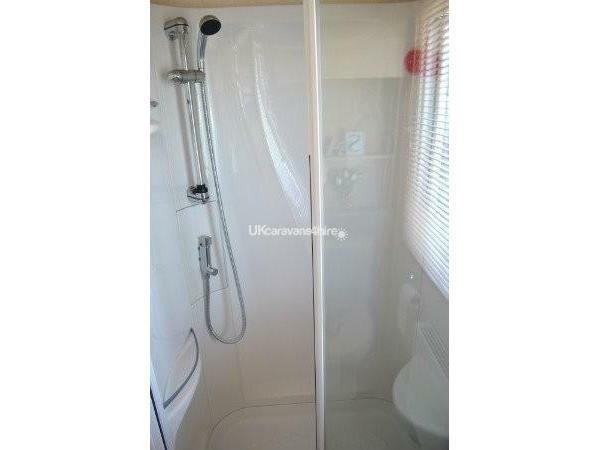 The BATHROOM has a washbasin, toilet and spacious shower cubicle with glass door and a thermostatic shower. It also has plenty of storage. 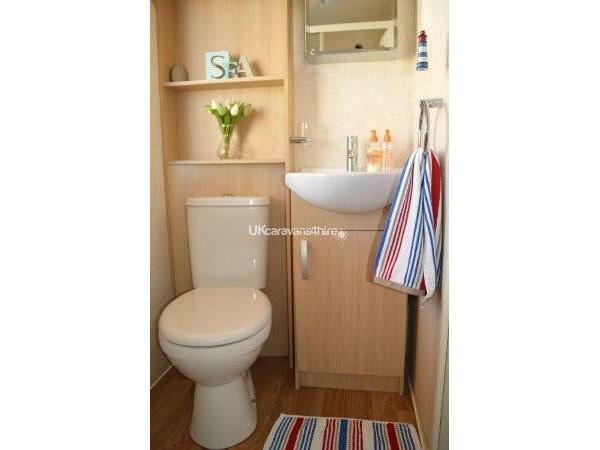 There is an additional separate WC with washbasin. 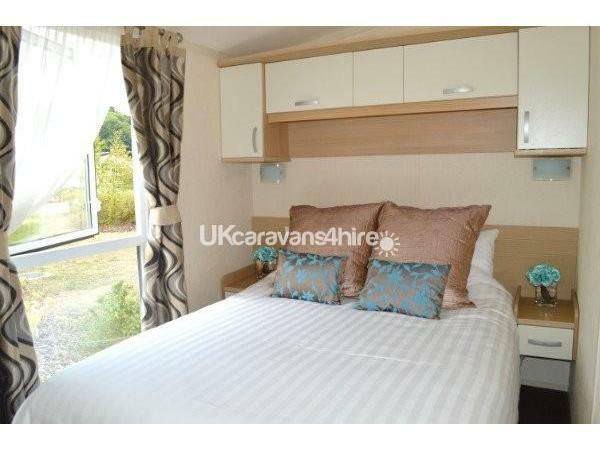 The MASTER BEDROOM has a double bed with memory foam mattress, fitted wardrobes and overhead storage units which offer ample storage. 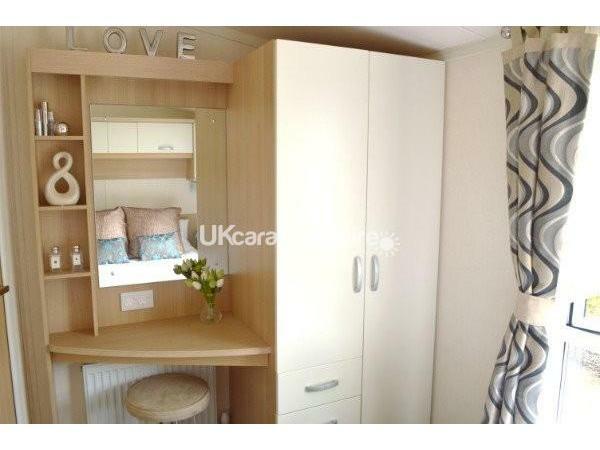 There is a dressing table with stool. 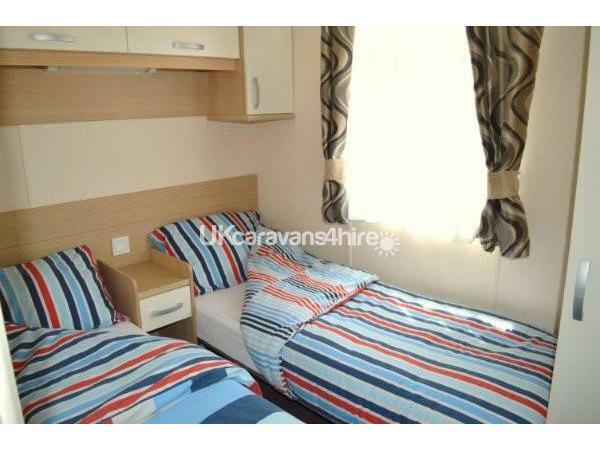 The FURTHER TWO BEDROOMS each contain 2 single beds, overhead storage, wardrobe and bedside cupboard. All duvets, pillows and bed linen are provided but you will need to provide your own towels and tea towels etc. The GARDEN is a great space for children to play, and the patio area has a table, 4 chairs for outside eating. The caravan has it's own parking. In line with Kiln Park policies we do NOT accept all male or female group bookings, but welcome enquiries from families and couples with NO pets. STRICTLY NO SMOKING. Arrivals 2.00 pm, vacate caravan by 11:00am on day of departure. Prices are based on full weeks (7 days) during peak seasons. 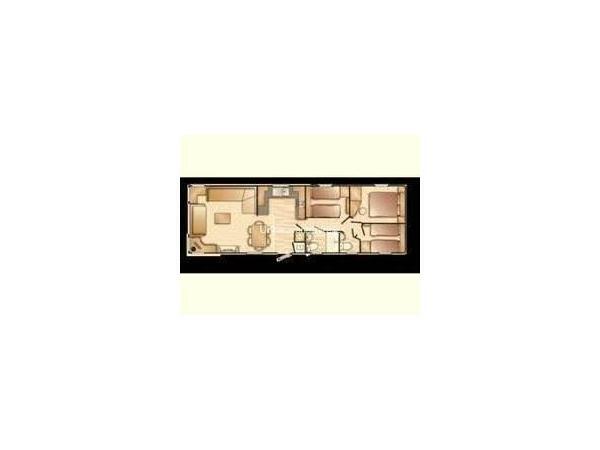 All prices shown include Gas & Electricity. Haven entertainment club passes are NOT included, but can be purchased separately from Kiln Park main reception upon your arrival (or in advance if applied for directly). Most site facilities require membership. Additional Info: Indoor heated pool with children's paddling area, water slide and outside splash area. Outdoor pool with children's paddling area (only open in high season). Kiln Park offer a range of activities, most at an additional cost including, aqua gliders, aqua jets, pool kayaking, archery, fencing, football, tennis, crazy golf, soft play, sports field kids clubs, character breakfasts, fun stars shows and evening entertainment. Places to eat include the Mash and Barrell pub and restaurant, Papa John pizza, Millie's Cookies and the fish and chip shop. Fish and chip takeaway, Spar shop with bakery, Children's playground and sand pit. Sports field. Kiln Park is located within the Pembrokeshire Coast National Park, and Tenby has beautiful blue flag beaches. 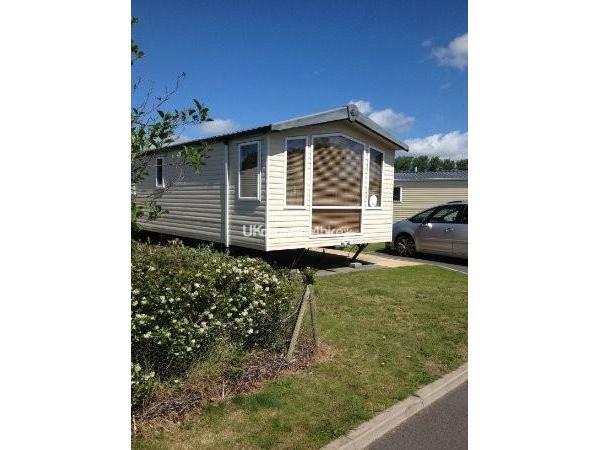 It is located adjacent to Tenbyt Golf club and has several other golf courses within the area.